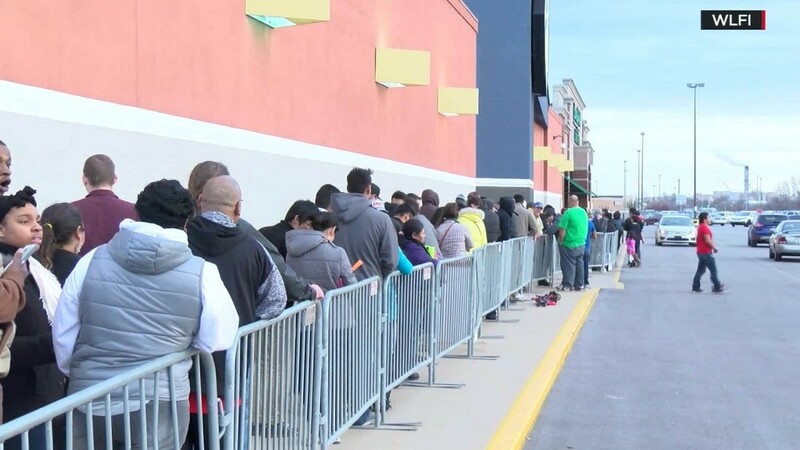 Black Friday sales soared on portable devices. Investing in better apps and mobile shopping sites paid off for retailers this year, IBM (IBM) said Saturday, and digital sales were up 21.5% from last year. Another report from Adobe (ADBE) said Americans spent more than $2.7 billion online Friday. That's a 14.3% increase from last year based on Adobe's tracking methods. "US consumers have turned into digital shopping ninjas," Adobe analyst Tamara Gaffney said. Adobe (ADBE) also said that online spending on Thursday and Friday totaled a record $4.47 billion. choice for browsing deals and accounted for nearly 45% of total traffic. But on average, tablet shoppers spent more. As for brick-and-mortar stores, ShopperTrak said sales may have declined from 2014. It estimated in-store shoppers spent about $12.1 billion over the two-day period. ShopperTrak executive Kevin Kearns said that doesn't mean Black Friday was a bust for retailers. "This year, we saw Black Friday ads emerge before Halloween," he said, and in-store sales were bigger in the days leading up to Black Friday, "which is a result of retailers successfully elongating the holiday season." Kearns added that crowds were thinner this year, especially on Thanksgiving Day, due to "backlash against store openings on the holiday." ShopperTrak still expects this year's overall holiday season to net more for retailers than last year.